HVAC – heating, ventilation and air conditioning technologies to control temperatures in built environments. The HVAC control system is usually a sensing device that compares actual states with target states, as programmed into the system. These systems can then take the appropriate sets to adjust the temperature as needed. Advanced control systems allow for more specific control over these devices, leading to energy savings without compromising tenant comfort, although a more complex HVAC system is required. With advanced systems, building managers can monitor and respond to alarms from local or remote locations. Schedules can also be set and configured for the HVAC within the BAS controls. 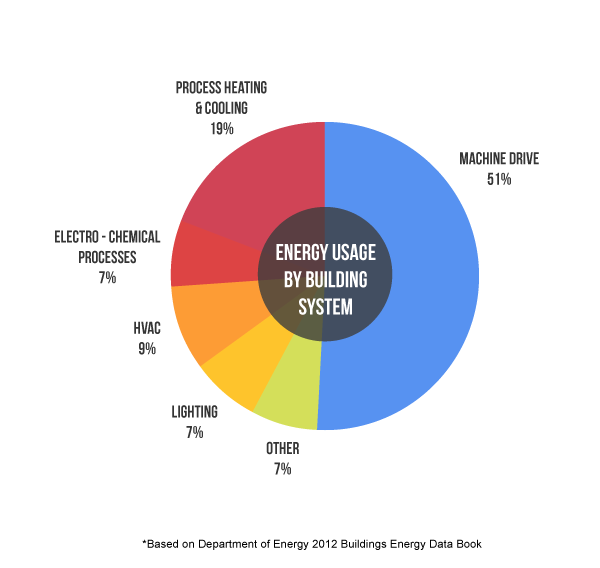 HVAC systems are one of the largest consumers of energy inside of commercial and industrial buildings and should be constantly monitoring for efficiency.